Sends out e-mail reminders to your users based on several conditions. 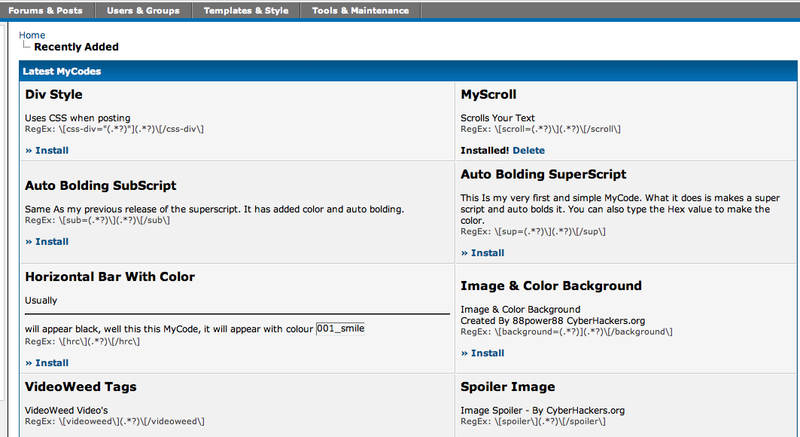 Easily install MyCodes from the MyBBSource MyCode database. Creates a fake Admin CP login page to prevent attackers from gaining authorized access. Adds extra forum permissions to your board. View which users are using what theme. 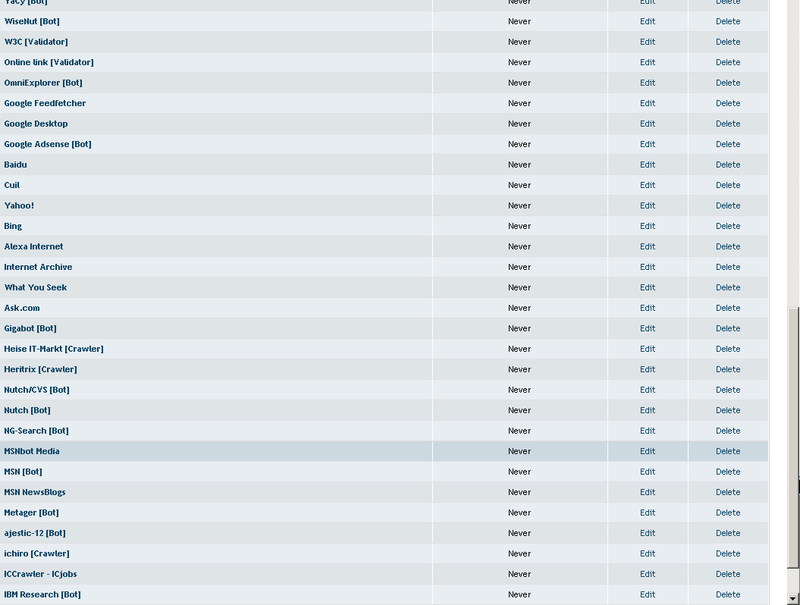 Adds a log of all thread ratings viewable in the Admin CP. 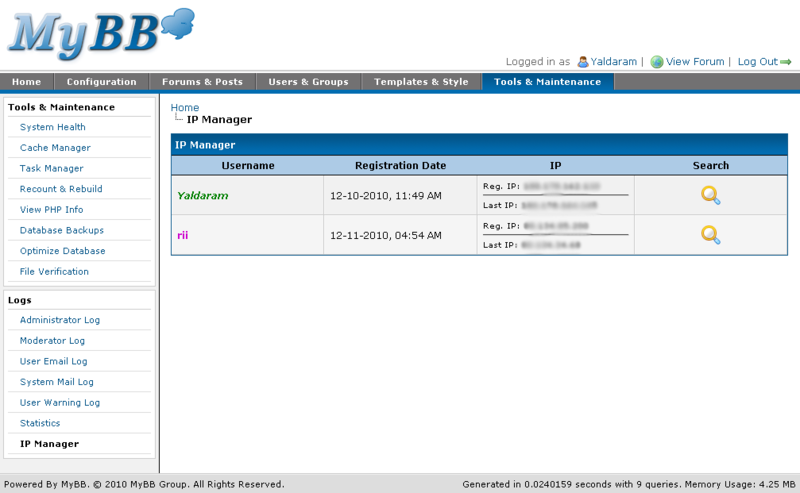 This is an IP Manager plugin used to fetch a list of Users of your forums and display their brief bio-data in Admin Control Panel. Admins can move users to other groups, e.g. VIP group, and set how much time that user will stay there.